Before the ink was dry on the U.S. Constitution, the establishment of a permanent military had become the most divisive issue facing the new government. Would a standing army be the thin end of dictatorship? 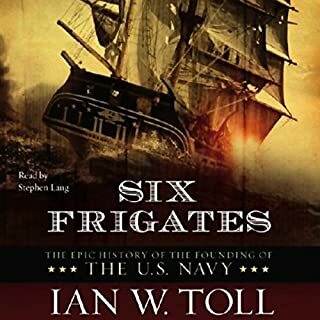 Would a navy protect American commerce against the Mediterranean pirates, or drain the treasury and provoke hostilities with the great powers? The founders, particularly Jefferson, Madison, and Adams, debated these questions fiercely and switched sides more than once. The printed copy of this book was recommended to me by a friend. It was an excellent book to hear, but I fear that important portions may have been omitted in the process. I will pay more attention next time to see that I purchase only UNabridged books. Still a good listen full of historical data. Napoleon is about to invade England, and it falls to young Horatio Hornblower to stop him. It's 1803, and the imperial leader of France is amassing an army of ships and planning his attack. Throughout several spectacular confrontations, Hornblower proves himself to be not only a courageous and worthy opponent, but also one of the most fascinating, complex heroes of our time. C.S. 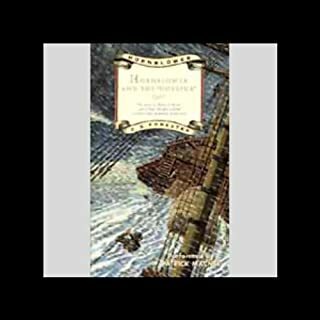 Forester's novel about life aboard a British Man of War is ledgendary. In the Hotspur, Hornblower's reputation as an aggresive, determined captain come into fine focus. He is an honorable man with a realistic sense of what can be attained if you work hard, dare greatly and are willing to pay the price. I wish the entire series was available. Patrick Macnee does a masterful job of bring this famous story to life. Highly recommended.